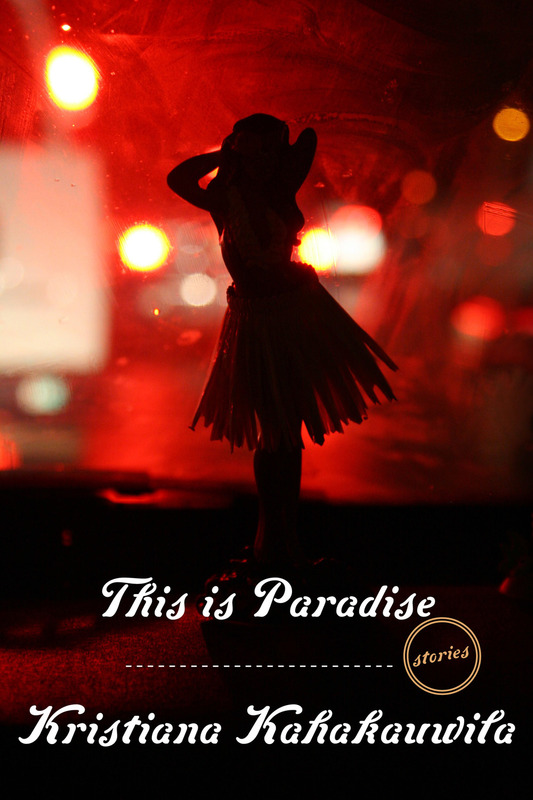 The cover photograph of Kristiana Kahakauwila’s This is Paradise depicts a miniature hula dancer on a car’s dashboard; through the dirty windshield we can see blurry headlights in a nighttime street scene. David W. Dellinger’s photo is the perfect visual for Kahakauwila’s stories about the real Hawaii: beyond the tourist images and fantasies of Hawai’i lies a real place, where island residents live and love, dream and die, and struggle desperately against economic, cultural, and ethnic forces beyond their control. These six stories are suffused with a bittersweet sadness for what could have — or should have — been, for words unsaid, emotions unexpressed, and customs misunderstood. Kahakauwila is the daughter of a Hawaiian father and German-Norwegian (American) mother and grew up in Long Beach, California. She made frequent trips to Hawaii (mostly to Maui) to visit family and was thus occasionally immersed in the local culture, but she was essentially a Southern California girl. Her ethnic and cultural heritage positions her ideally to write about the two Hawai’is, the tourist version and the locals’ version, with both objectivity and sensitivity, as well as insight and compassion. I’ve long been fascinated with people who simultaneously exist in two races, religions, or cultures or who alternate between them. The tension between the two, the expectations of others (whether family members or society generally), and the individual’s desire to have a unified identity are ripe with the type of conflict that can make for great stories and novels. So I was intrigued with the premise of This is Paradise and, having lived in Honolulu from age 10 to 12, curious to see how Kahakauwila would address the issues of being hapa-haole (“how-lee”) and living in both California and Hawai’i. Could a young writer, in her first collection of stories, manage the challenge of depicting and making sense of these tensions? At the same time, could she capture Hawai’i’s own divided identity as tourist paradise and home to a wildly diverse population? I needn’t have worried. Kahakauwila has written a stellar collection of stories in which she faces these issues head on without blinking. The night is long, stretching into the next morning, when the girls return to the beach for a sunrise surf session. There they are surprised to see Susan yet again, for the third time in 24 hours. But something has changed; something happened last night. Hawai’i was not what Susan expected it to be, dreamed of, longed for. It was much more, and much less. As if the opening story were not powerful enough, Kahakauwila follows it with what might be the best story in This is Paradise. “Wanle” puts us inside the life of a young woman who is following in her deceased father’s footsteps as a legendary cockfighter. As with the tourist girl in the title story, Wanle bears the burden of her illusions. Unlike Susan, Wanle is unaware of the reality of her circumstances and of her father’s life. Kahakauwila depicts the lives of locals who live, work, and play well off the Waikiki strip and whose lives are unaffected by the omnipresent tourists. This 40-page story is both a coming of age story and a love story, and it serves as a perfect counterpoint to the title story. By the time I’d finished these two stories, I knew I was in the hands of a young master (“mistress”?). “The Road to Hana” finds a young couple driving the notoriously long, narrow road on Maui, giving them plenty of time to talk. Cameron is the son of parents from Minnesota, but he was born and raised in Honolulu and considers himself a local. 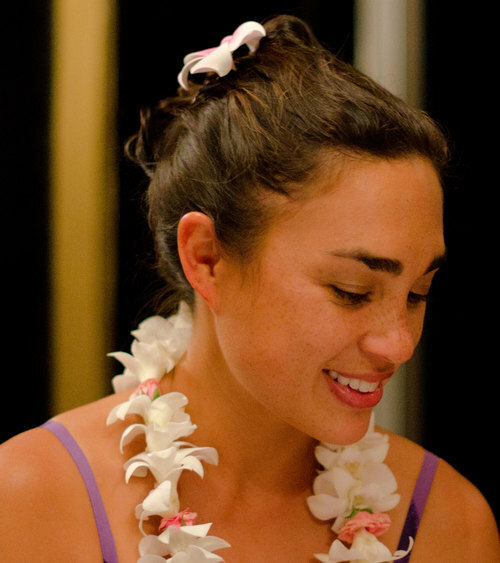 Becky is from Las Vegas, but her parents are Hawaiian and her powerful connection to the islands leads her to move there, where she meets haole Cameron. Is he haole (which also means “mainlander” or “foreigner”) or is he local, Hawaiian? What does it mean to be Hawaiian? Is Becky Hawaiian even though she grew up on the mainland? Are her parents and relatives, and their culture, enough to make Becky one of them? She looks Hawaiian, but Honolulu is not her home, as it is to Cameron. The road to Hana is as twisty, unpredictable, and dangerous to their relationship as it is to the inattentive driver. How can a reader not love this woman? As a former English major who was under-employed for the first few years after college, I know the bittersweet feeling of being educated but not yet accomplished or respected by family members. Because, you know, you can’t actually do anything. The last two stories in This is Paradise are actually, like the stories I’ve read recently by Molly Antopol and Alice Munro, compressed novels. “Portrait of a Good Father” and “The Old Paniolo Way” are the richest and most complex stories in the book. In 43 and 66 pages, respectively, Kahakauwila unfolds an entire world that could easily have been developed into a novel and yet seems complete as a long story. “Portrait of a Good Father” is more accurately a portrait of a marriage, that between Keaka and Grace. Their son, John, arrives ten months before they are married. Daughter Sarah is born nine months after the wedding. They would appear to be a happy, even ideal young family. But tragedy intervenes, and Keaka and Grace respond in different ways. The result is their very own Kilauea volcano residing among the three of them. I hesitate to say more about this story, which is so layered in its character development and the narrative’s movement through time that I don’t want to spoil a single aspect of reading it. “The Old Paniolo Way” tells the story of thirty-something siblings Pilipo (Pili) and Maile, whose father, Harrison, is slowly dying of cancer. Maile is the devoted daughter who has remained on her family’s Big Island ranch all her life, while Pili left for college on the mainland and settled in San Francisco, where he owns a very successful marketing business. In returning to the island, Pili returns to his painful past and has to decide whether, or how, to resolve some of these issues with his father. Should he burden his father in his final days just to free himself from the past and clear the slate for the future, or is that simply selfish? What will his future entail? Will he come home permanently to run the ranch with Maile? What does Maile want, from Pili and for herself? The hospice nurse, Albert, is ostensibly there to assist Harrison but he arguably provides more help to Harrison’s son and daughter. Kristiana Kahakauwila has written a remarkable collection of stories that provide a great service to readers in showing the many sides of the real Hawai’i, the one in which Hawaiians live and tourists inhabit only briefly. This place and its people are far more intriguing than the version presented to the outside world by advertisers, marketers, and other promoters. I encourage you to spend some time in Kahakauwila’s Hawai’i.